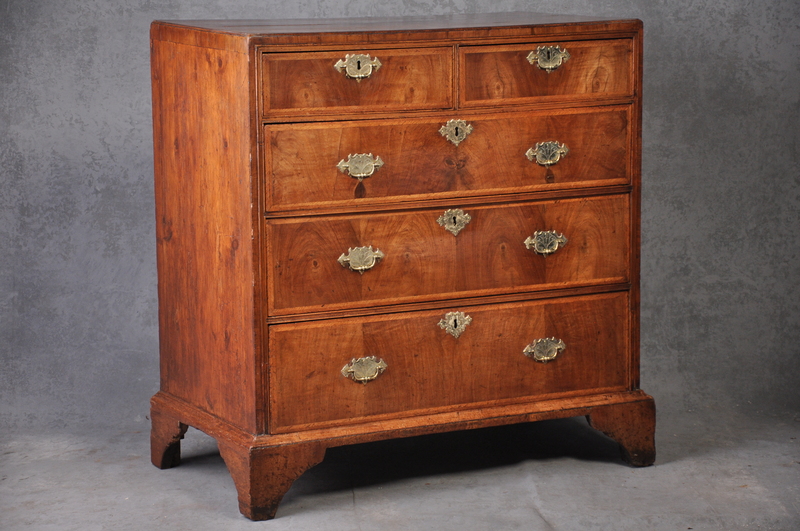 A lovely early 18th-century Walnut chest of drawers having caddy top with matched veneers and Ash feather banding and original pine ends. The feet remarkably at this period are original. The colour is Superb and the original elm linings are incredibly clean.